“Cognitive Brain signal Processing lab – CBP” was a project funded by the General Secretariat for Research and Technology (GSRT), under the call ARISTEIA, ESPA 2007-2013. CBP’s goal was to advance the state of the art in vector field tomography (VFT), by exploiting the new methodology in 2D and extending its theory to 3D. Subsequentlly, the goal was to apply 3D-VFT to high density EEG data to solve the inverse EEG problem and determine the active states of the brain. Thus, by investigating brain activation in different experimental scenarios and among different experimental groups, CBP aimed to contribute to the understanding of cognitive processes and inaugurate further activity in ITI-CERTH for studying the human brain. Through the project, the Information Technologies Institute (ITI-CERTH) established a new Lab (the CBP), which is reinforced with a state of the art computer-based equipment for EEG and new activity started in the ITI-CERTH, on brain cognitive processes research. An interdisciplinary team of researchers with complementary skills utilized the aforementioned equipment, in conjunction with VFT, but also with other state of the art techniques, like connectivity analysis. All in all, CBP was a very successful project, as the target of deliverables was reached and surpassed, various activities were organized to diffuse the results, while the research activity on brain cognition in ITI-CERTH was reinforced. The project’s publications targeted journals with high impact factor and reputable conferences. The CBP not only advanced the state of the art in vector field tomography on its own, but also as a tool to understanding cognitive processes in the brain, and in particular cognitive vision. More specifically, 3D-VFT was developed and successfully applied to high-density EEG recordings, while interesting findings and conclusions were drawn regarding brain functionality, that help towards better understanding of human cognition in the healthy as well as the diseased brain. Moreover, the scientific community can benefit from the large volume of high-density recordings, as arrangements to make them publicly available will take place. Finally, the project enhanced the links of the Institute with the Medical School of the Aristotle University of Thessaloniki, by using the developed methodologies by the team, for direct communication with patients unable to verbalize their state of mind. 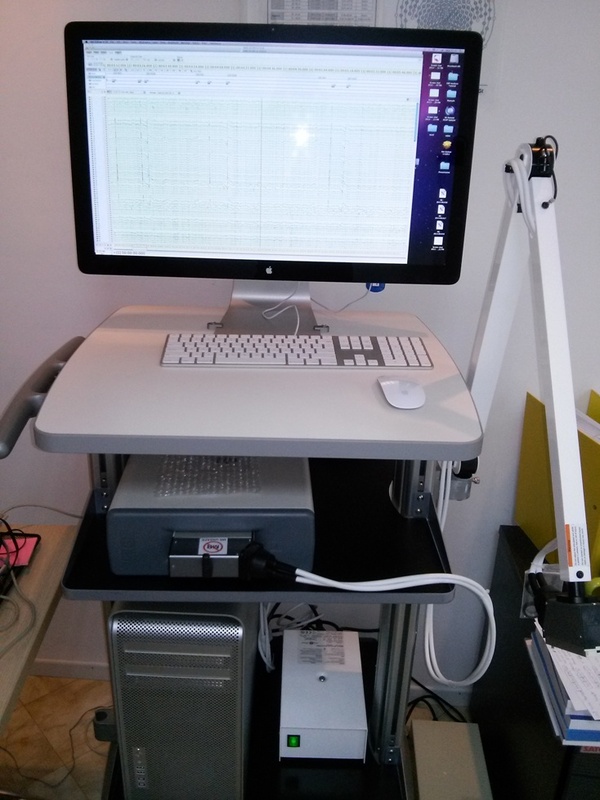 The CBP Lab has been established in September 2013, equipped with the high density EEG system (EGI 300 Geodesic EEG system – GES300). Moreover, in February 2014, the eye tracker SMI Red500 was added to the main equipment to conduct visual attention tasks. Since 2013, in total 130 experiments took place. More specifically, for the examination of cognitive functions between young and older age groups, 45 EEGs were conducted, in which participated 27 young people aged between 25-40 years old and 18 healthy adults over 60 years old. Furthermore, 63 more subjects (41 females/22 males), participated in the experiments. 21 of them suffered from dementia, 21 from mild cognitive impairment and 21 were healthy. Finally, for the examination of cognitive vision EEGs were conducted to 22 young participants (11 males/11 females) aged from 25-40 years old.